According to a release issued by the administration, the entrance examination will be conducted from December 27 to December 30. New Delhi: For the academic session 2018-2019, Jawaharlal Nehru University (JNU) will conduct entrance examination from 27 December to 30 December 2017. The varsity has announced the schedule for Jawaharlal Nehru University Entrance Examination (JNUEE) 2018-19 today in an official release. 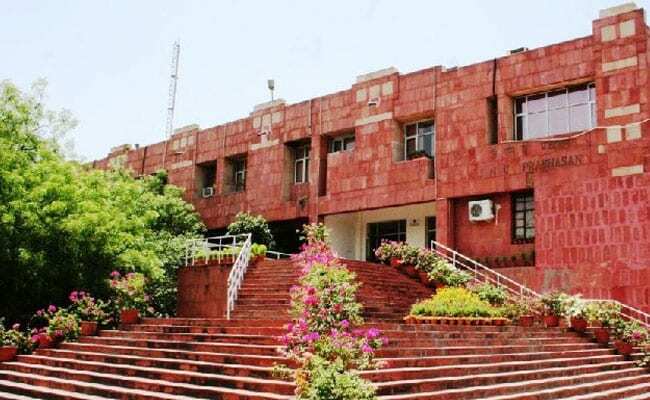 It was earlier, declared that the entrance exam schedule for JNU admission will be shifted to December, starting this year instead of the regular May and June schedule. The official release is available at the official website of the University at jnu.ac.in. "Part-time programmes (diploma and certificate courses) will have 240 seats open," according to the statement, signed by the Registrar. The exam will be held for 720 seats available in M.Phil/PhD courses, 459 in BA programmes and 1,118 seats in MA, M.Sc, M.Tech and MPH courses. However the announcement, though has brought an end to the long wait, has been opposed by the JNU Teachers Association (JNUTA). The association objects about the short notice and has put forward their demand for more time to discuss the move. Moreover, reduced MPhil and PhD seats have been the cause of wrath between students and teachers on one hand and administration on the other. In this regard, the newly elected JNU students' union office-bearers have taken up fight against seat cuts as one of the major issues. The decision of changing the entrance exam schedule came after two years after it was put forward at a meeting of the varsity's Academic Council (AC) and approved at a Standing Committee meeting.